Prepare yourselves for another fantastic journey, Harry Potter fans. This newest installment in the universe of the “Boy Who Lived” is actually a prequel, taking place in the magical world that was New York City in 1926. 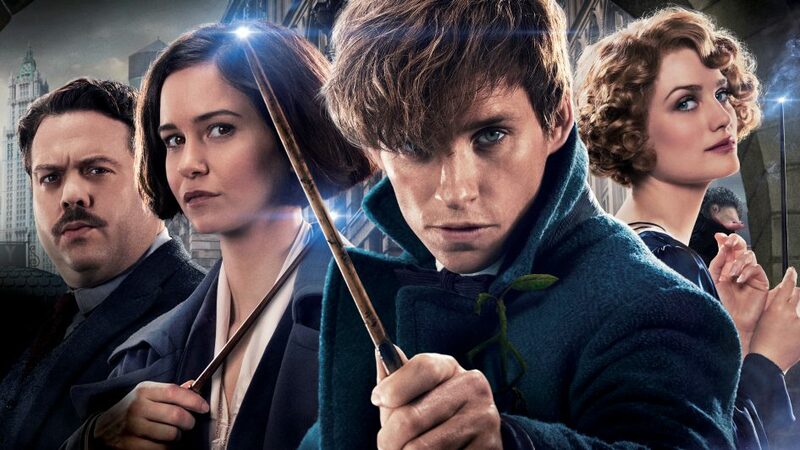 I’ll avoid any spoilers for those of you who are anxiously waiting for your first chance to see this film, but I will say that you must — especially if you are a HP fan. This film does so many things right, I had a difficult time finding anything worth complaining about! It touches on the familiar themes of the HP franchise — loyalty, friendship, *cough* racism *cough* — as well as shedding light on some of the previously unknown history of the Wizarding World. Speaking of shiny things, the film shines in so many different areas. Amazing costume design, as always, by Oscar-winning costume designer Colleen Atwood. She manages to depict the glamour of the 1920s, with a magical twist here and there. Our New York City wizards and witches are much more concerned with fitting in and not being noticed amongst the “No-Majs” — that’s “No Magic” or Muggles, as their British counterparts say. While this limits the amount of fun, over-the-top clothing as seen in previous films, it gave Atwood a fresh approach to designing frocks from the ’20s. I heard several complaints of this installment being “too much like a superhero film” with its flashy wizard fights, mass destruction of property and fast-paced apparating (where magical beings can teleport from one place to another). Others said they disliked that the movie jumps back and forth from lighthearted fun moments to darker themes and scenes with no warning. To those folks, I raise an eyebrow. Have you ever seen a Harry Potter film? Part of what I have always found refreshing about the universe that J.K. Rowling created is that it’s full of both the good and the bad of what reality has to offer, despite being centered around fictional characters and circumstances. Yes, this film is a bit more action-packed than the earlier HP films, but no more so than the Battle of Hogwarts. Oh, and a special message to the Internet haters complaining that they “can’t understand” Eddie Redmayne’s accent: Where have you been for the last eight Harry Potter films? Protip: watch more British TV. I did not experience any issues, and in fact I was terribly impressed with the audio quality in our theater. On the audio side, the soundtrack is standard for a HP film, but nothing really noteworthy. There was no “Hedwig’s Theme” that really jumped out at me during the film. My only real complaint is that I wish there had been a little more throwback to the world of Hogwarts that we all know and love so dearly. However, I realize that’s totally selfish of me. The film does indeed include several nods to Newt’s school days at Hogwarts, even though they were not so pleasant for Newt himself. There is also a fun little trail of breadcrumbs regarding Newt’s past at Hogwarts and the evil wizard Grindelwald, who is wreaking havoc on the wizarding community at large. As this is the first of five films in the series, just like the first HP film, we’ve been given just enough clues to know that there is more to come and we know we want it. The unexpected gem in this film is the side story about No-Maj Jacob Kowalski. His side story was at first seemingly an irrelevant, distracting narrative. Upon further reflection, however, I believe that even if we don’t see more of Mr. Kowalski in the later films, his story ultimately cultivates a new era in the Wizarding World, which all leads back to the themes of racism and xenophobia. Apparently, in the American wizarding community, there is no such thing as the Department of Muggle Studies. I don’t want to say to much, as I promised to stay spoiler-free, but I assure you that the Magical Congress of the United States of America is not a fun bunch that you’d want to invite over for tea. Some parts may be a little too dark and scary for wee kids; there are a few moments that will make for fun car-ride conversations on the way home. (I’m talking very dark moments.) If you think your kiddos are up for those heavy talks, then I say bring them along for the magical ride. They’re probably used to it if they’ve already seen the other HP films, but if explaining religious zealotry, racism or xenophobia is not something you’re ready to tackle, you may want to hold off on this one, for now. Overall, Fantastic Beasts lived up to my expectations on many levels as the first of its franchise. In some aspects, it even outshone my expectations. There are many laughable moments, and many more exciting bits of information for long-time HP fans that we didn’t expect. And watch out for that ending, kids. You may need a kleenex or two if super-awkward British guys are your thing.